Anna’s grandfather asks her to go to Germany and retrieve something from his childhood home. She has a very cool reception from the town. Come to find out, her grandfather may not be the person she thought. This story kept me reading late into the night and thinking about it during the day at work!!! GASP!! I could visualize the house in Germany and I so wanted to be there. And to know the story is loosely based on a real house made it all the more intriguing. The characters kept me coming back for more. I loved Anna from the start. When she met Wil….that just took me over the edge. I could just picture them exploring the house working together to overcome the obstacles ahead. The ending is a little too tidy for me. Anna needs to struggle a little more to find out what happened to her grandfather during WWWII. Instead she finds out in one visit with someone. It would have added a lot to the tale if she had more of an adventure to figure out the mystery. But…..this is just a minor observation and completely my opinion. I loved, loved, loved this book. 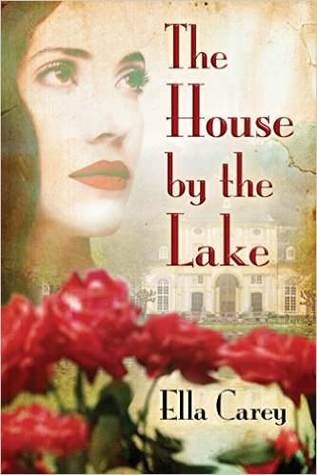 The mystery, the house, the setting, the characters all meld together to make a tale I could not stop thinking about. Terrific review. I’ve added it to my TBR. If your TBR is like mine…you will need to live to be 834 years old to finish it. Enjoy! !